According to a recent study conducted by the Agency for Healthcare Research and Quality (AHRQ), one in six Americans experienced a dental emergency in the past year, and to help out, representatives with Lakewood Family Dental say they’re now accepting emergency dental patients without an appointment. “The need for emergency dental care has increased over the years, and in order to help everyone that we can, we’ve decided to provide emergency dental care for anyone who needs it,” a company representative from Lakewood Family Dental said. The company’s decision to provide emergency dental care could prove to have perfect timing. In fact, according to the AHRQ report, more than 72 percent of Americans have fillings, caps, or crowns, and 23 percent of dental emergencies relate back to these restorations. Lakewood Family Dental, according to company officials, offer full service dental care from qualified dentists to patients in Howell, Jackson, Toms River and neighboring communities. The company representative went on to point out that Lakewood Family Dental’s emergency dental care provides those who have dental problems that “just can’t wait” with a reliable option for treatment. Lakewood Family Dental emergency dental services include: Chipped teeth, root canals, emergency extractions, and denture repairs. Unlike most dental offices’ emergency dental care, the company representative noted, that Lakewood Family Dental’s emergency dental care is available at any time, even on Sunday. In addition, the company representative said, if your child has an injury to the teeth, getting quality care immediately is important to preserve dental health. 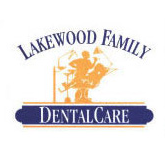 Lakewood Family Dental provides dental care to patients in Howell, Jackson, Toms River and neighboring communities. Conveniently located in Lakewood, Lakewood Family Dental offers convenient hours during the week, as well as Saturday hours and same day service for an emergency dentist.